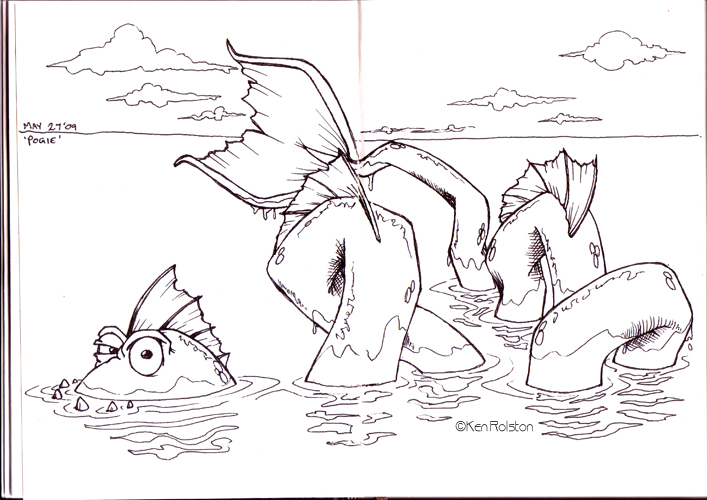 Ok, I guess I wasn’t quite finished with the eye monsters. This one was calling to me to incorporate some real ocean texture, and erase some of the lines. If I was to spend more time on it, I’d get rid of all the ink lines…so who knows, Pogie may make another appearance yet. 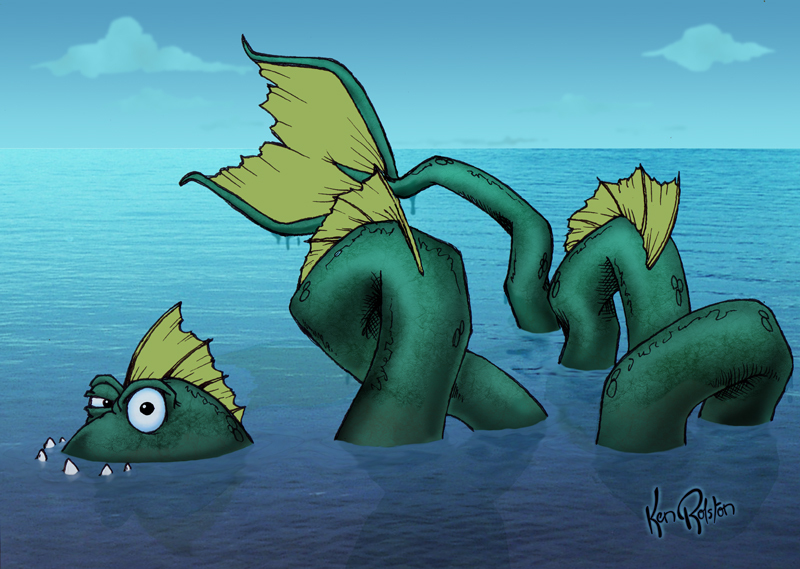 I think growing up in the Okanagan with our own lake monster legend – the Ogopogo – has something to do with why this one called to me again.